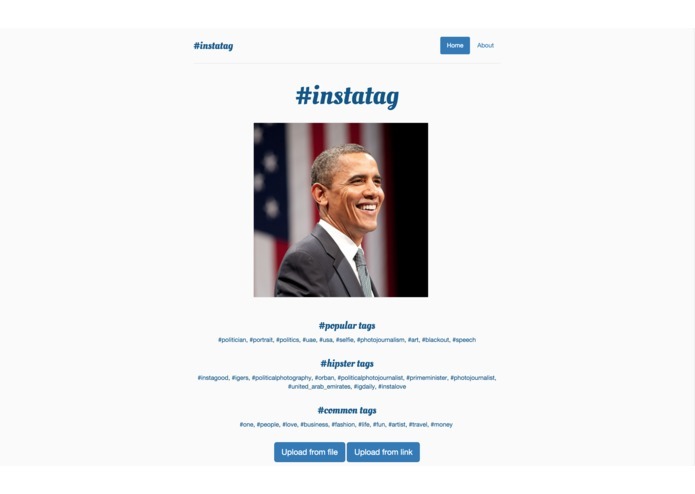 InstaTag is a webapp that helps businesses and nonprofits optimize their social media campaigns via machine learning. 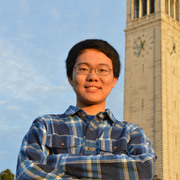 Machine learning has become a pioneering technology in the field of computer science. 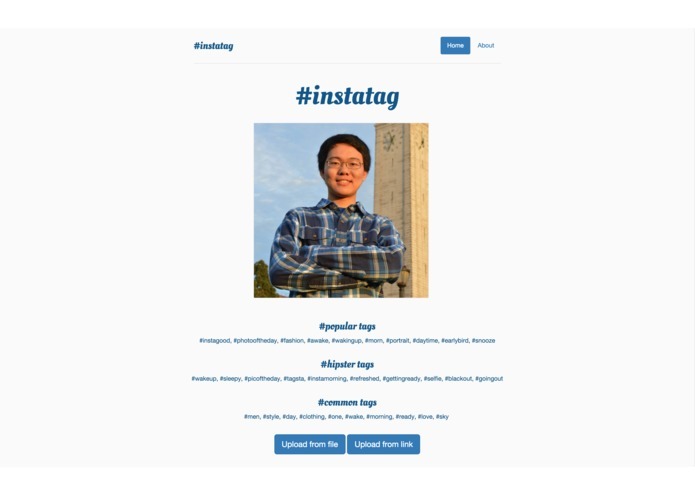 We sought to build a hack that involved and built upon machine learning methods. 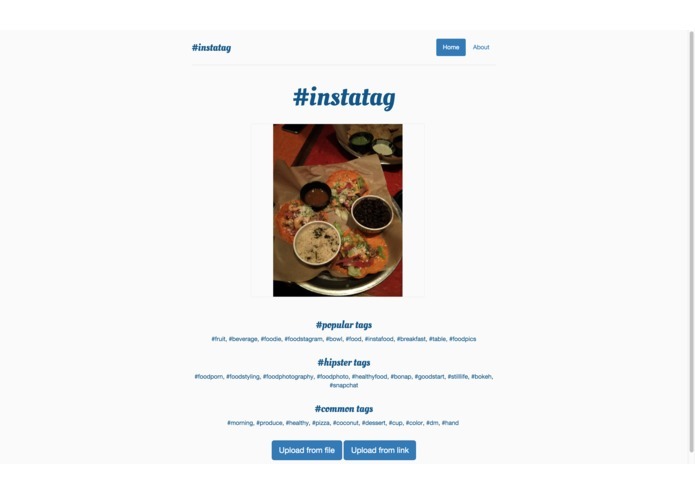 Our mission with InstaTag is to provide a means for users to get the most out of their social media posts. 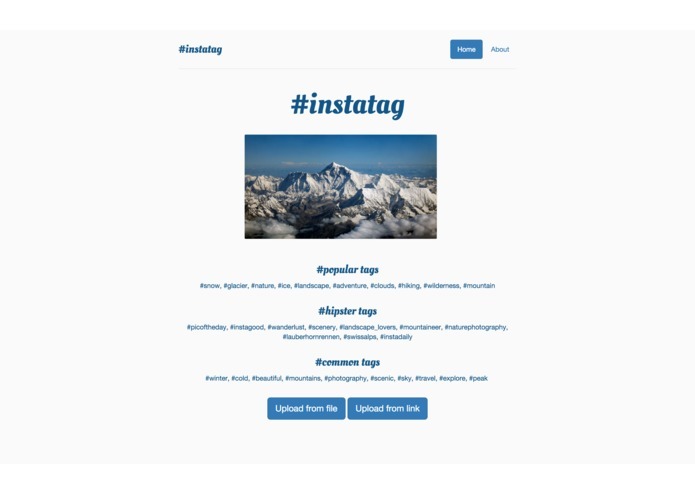 As social media becomes a larger and larger part of everyday life, it becomes increasing more important for both businesses and nonprofits to optimize how they advertise. 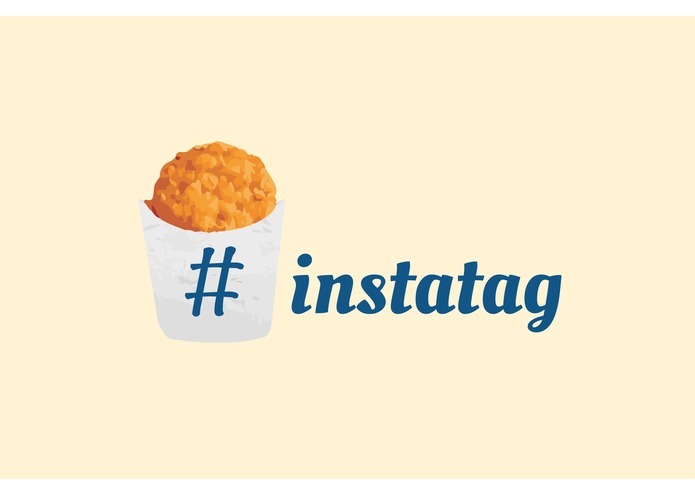 #InstaTag uses image recognition and machine learning to create hashtags that will produce the most likes. 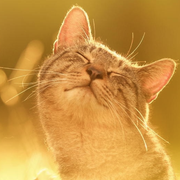 More likes means more coverage, and for businesses and nonprofits, that could ultimately improve profits and donations. 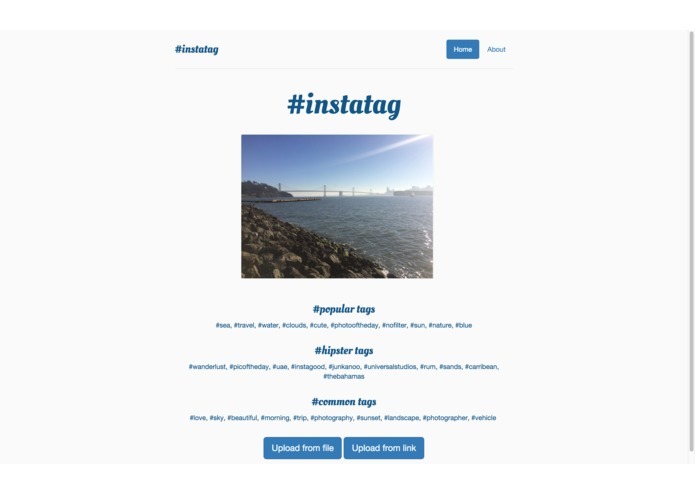 So while the normal everyday user can use #InstaTag for their profile, our app has deeper implications with the evolving world of social media. 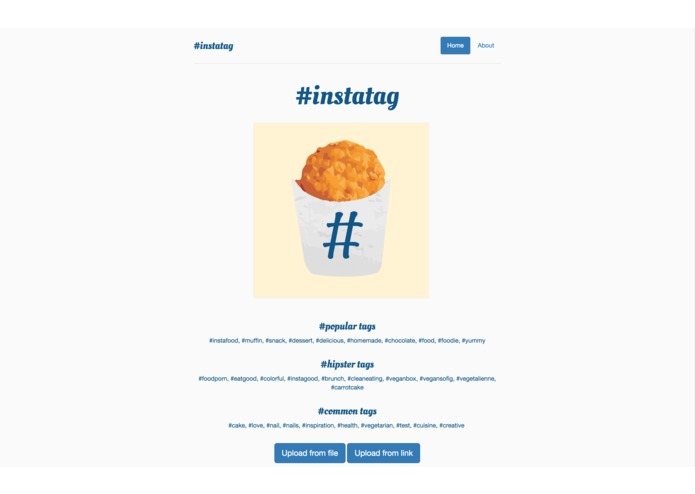 InstaTag generates optimum hashtags by running image recognition on the uploaded image and generates hashtags against previously learned images and hashtags. 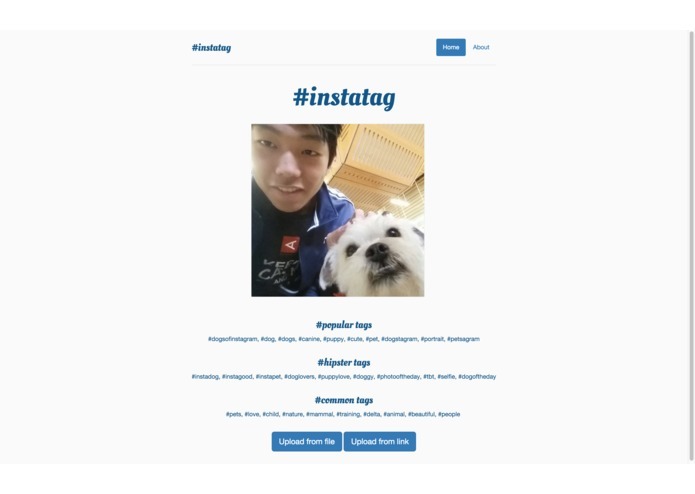 We used machine learning with the Clarifai API on Instagram data to find which hashtags corresponded to the most likes per picture. 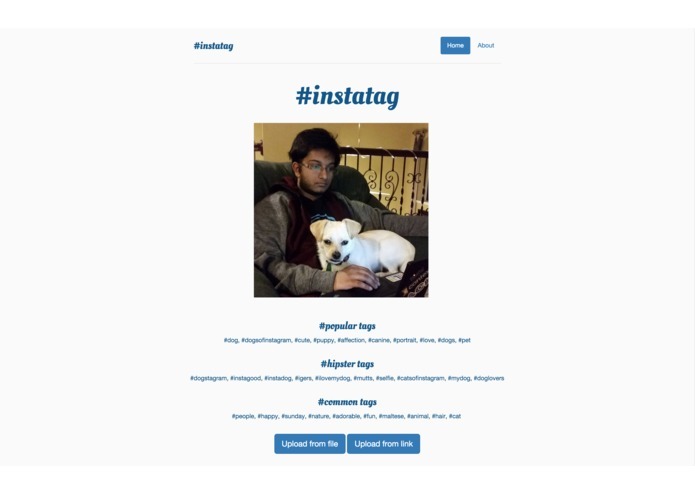 Thus when a user uploads an image, we are able to generate optimal hashtags for their image. 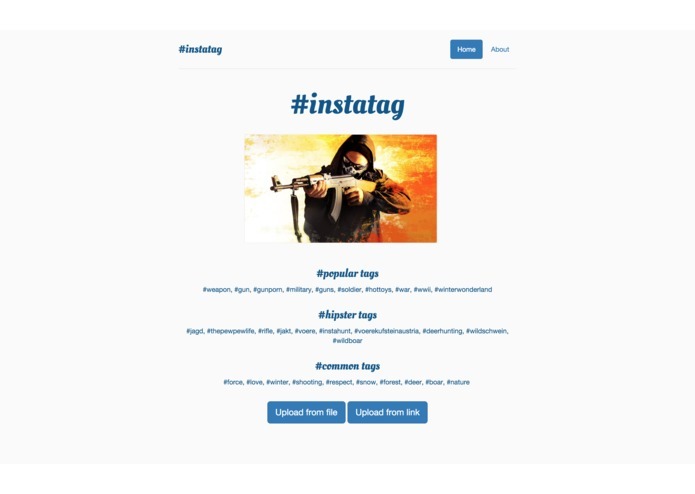 We had challenges getting good tags for the images especially with less common words. We solved this by using a ranking heuristic. Scraping the JSON text also required some tricky regex magic. 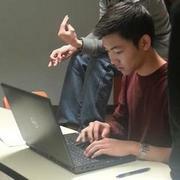 We researched different kinds of machine learning methods in order to implement and effective and accurate hack.